Army building is one of the most important parts of wargaming: it’s about strategy, not tactics or operations on the tabletop. Building your list properly is at least half of the battle. Some downplay list building with regard to Warmachine and Hordes. But let’s be serious: Warmachine and Hordes armies want to be build as meaningful as any other system’s armies. Army Gizmo is a free online list builder: Gizmo features the ability to login and save lists. It’s generally up to date, reveals the points cost and field allowance of models, but can’t validate Tier lists. 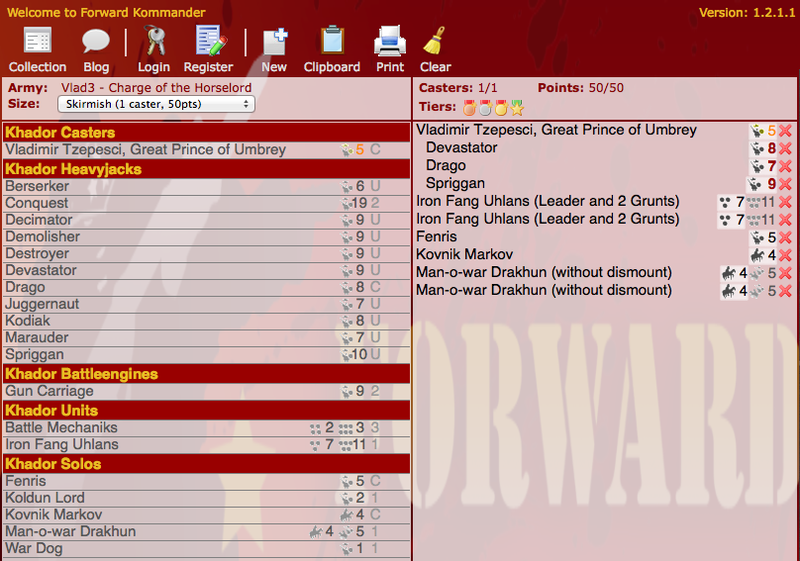 Forward Kommander is a free online list builder: Forward Kommander features the ability to login and save lists. It’s generally up to date and reveals the points cost and field allowance of models. 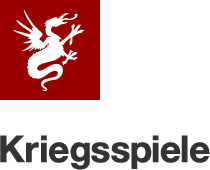 Forward Kommander builds lists for Warmachine and Hordes as well as Dystopian Wars. Army Builder by Lone Wolf is a paid list builder for Mac and Windows: Army Builder covers a wide spectrum of tabletop wargaming, including Warmachine and Hordes. Content updates happen rarely if at all. Tabletop Commander by Zappity Zap Productions is a free list builder for Linux, Mac, and Windows. The latest alpha release is from May 2011. It’s not foreseeable if and how this project will continue. iBodger is a free mobile application for Android and iOS by Wendell Hicken for creating Warmachine and Hordes army lists, and managing the models collection. iBodger validates lists including Tier lists. The last released version was 4.1, and was current through January 2012. At the request of Privateer Press, there will be no more public updates. War Room is Privateer Press’ utility app for Warmachine and Hordes on Android and iOS: an extensive library of stat cards and intended to facilitate faster and easier gameplay. War Room can’t validate lists: all cards are available for purchase, validating and rechecking works exactly the way as if using the printed cards. Army Gizmo is actually really out of date.